Good location, excellent bus and metro connections. This spacious and elegant four-bedroom apartment in the Eixample district is the ideal choice for your trip to Barcelona. 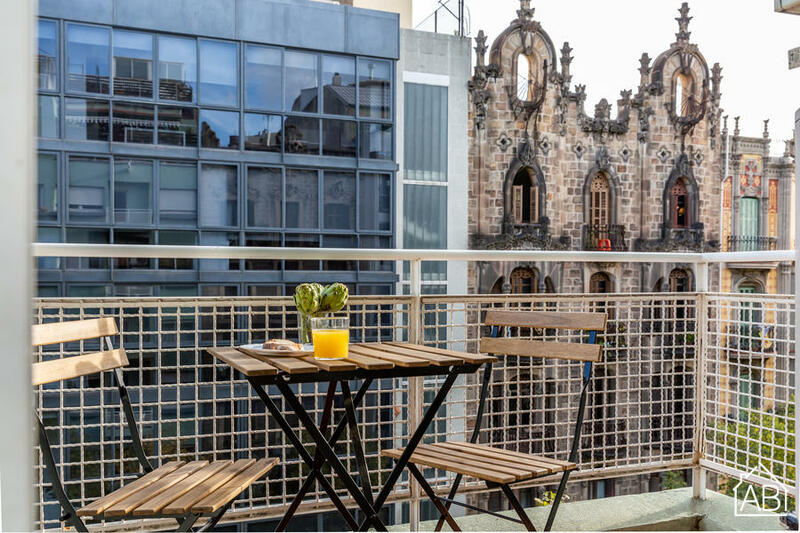 The area offers the perfect culmination of history, art and culture as you will find yourself amidst some of Gaudí´s greatest architectural masterpieces, as well as being within walking distance of Passeig de Gràcia: any shoppers dream! There are also plenty of fantastic bars, cafés and restaurants to be found in the area, where you can get a taste of some typical Catalan-Mediterranean cuisine. This apartment is the ideal choice for friends, couples or families and can accommodate up to seven people. The apartment is both stylish and modern, while maintaining a comfortable feel for all guests. The parquet flooring and French windows, which allow natural light to shine in all day, add to the spacious feel of this lovely apartment. The living room has comfortable sofas and a TV. An Internet connection is also available, making it easy to stay in touch with friends and family back home. The modern kitchen is fully equipped allowing you to prepare your own home-cooked meals which you can enjoy ´al fresco´ on the balcony. The main bedroom has a double bed, while the second and third bedrooms each have a set of bunk beds. The fourth room is furnished with one single bed. The apartment has two bathrooms, one with a walk-in shower and the other with a bathtub/shower. This charming apartment, complete with a concierge, is the ultimate choice for your trip to the Catalan capital. Metro station: Diagonal (L3) or FFCC: Provenza. Please note: This apartment is only available to adults over the age of 25 and families.